Question: How is Arlington real estate performing halfway through 2018? Answer: If you’ve followed the news lately, it’s hard to miss reports that housing inventory is dangerously low and prices are quickly increasing across the country. While Arlington is experiencing the same issues with low inventory, we’re seeing some interesting behavior in prices. 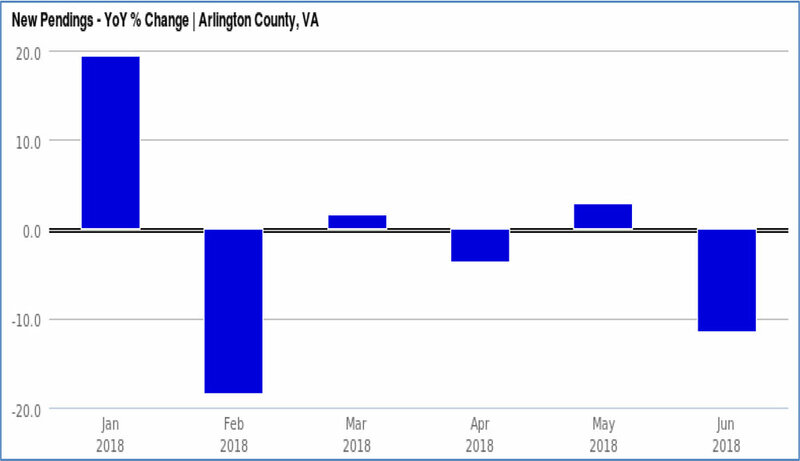 If you simply look at average price change across Arlington, values actually dropped since last year’s strong appreciation. However, if you take a deeper look (see table below), you’ll find that condos actually jumped 9.1%, single family homes crossed the $1M mark by increasing 2.5%, and only the townhouse market lost ground. So how did average prices in Arlington dropped when the two highest-volume housing types increased in value? There was a dramatic shift in volume from more expensive single-family and townhouse purchases (-14.8% and 18%, respectively) to less expensive condos (12.4%). Who said Millennials don’t by homes??? Hint: media outlets looking for clicks who ignored the fact that as of 2015 more than half of Millennials were still 25 or younger! Notable increases in the purchase volume of condos and decreased volume of townhouses and single-family sales. Does this indicate a youth movement in Arlington homeownership and families choosing to buy outside of Arlington where the dollar goes further? Or is it simply due to buyer frustration at the lack of choices in the higher priced townhouse and single-family market keeping eager buyers on the sideline? 3) Overall, the number of homes going under contract each month is modestly closer to what it was last year, although it’s still down in 2018. Based on what I’m seeing with clients, this is not due to a lack of buyer interest, but the lack of choices for eager buyers. I think an increase in inventory would result in an equal increase in purchase activity. If you have any questions about this data, would like to discuss how this data impacts your purchase/sale, or would like to see more personalized data sets specific to your purchase/sale feel free to send me an email at Eli@EliResidential.com and let me know how I can help! Newer PostWhat’s Driving Arlington’s 2018 Condo Growth? Older PostWhat Type of Homes Appreciates Faster?